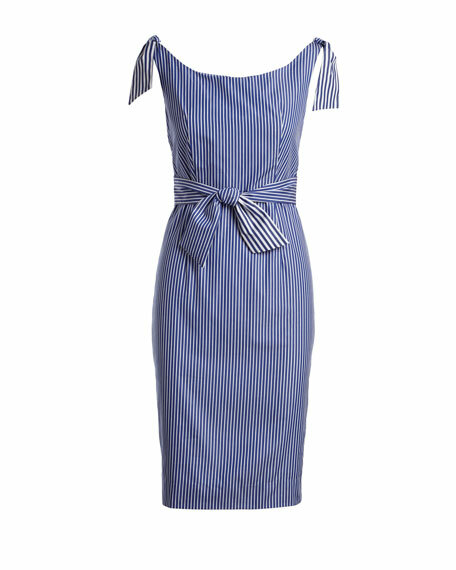 Milly "Candice" dress in striped shirting with ties at shoulders and waist. For in-store inquiries, use sku #2370152. 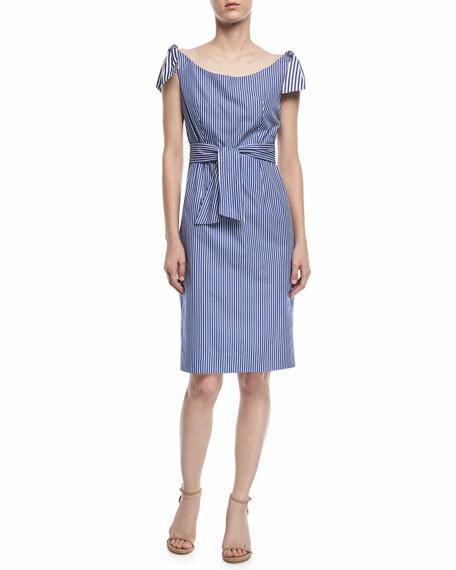 Cinq Sept "Soleil" cocktail dress with ruffle trim. One-shoulder neckline. Sleeveless. Body-conscious silhouette. Draped flounce hem. Mini length. Hidden back zip. Polyester/viscose/spandex. Dry clean. Imported. 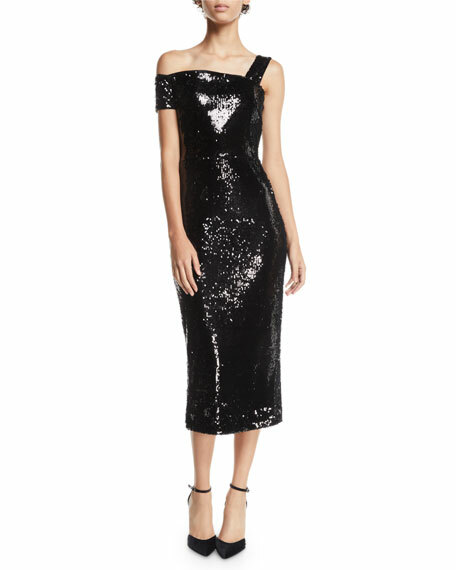 Milly "Ella" dress with double-sided sequins. Approx. 49.5"L down center back (size 4). 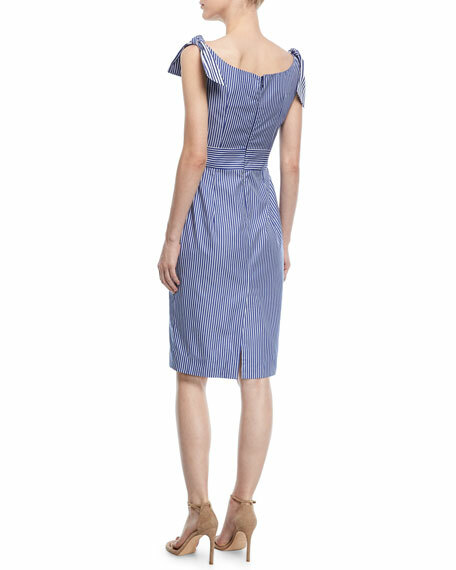 Asymmetric one-shoulder neckline. Right short sleeve; sleeveless at left. A-line silhouette. Hidden back zip. Midi-length hem. Polyester self. Dry clean. Made in USA of imported material. Milly "Kendall" dress in Italian cady. 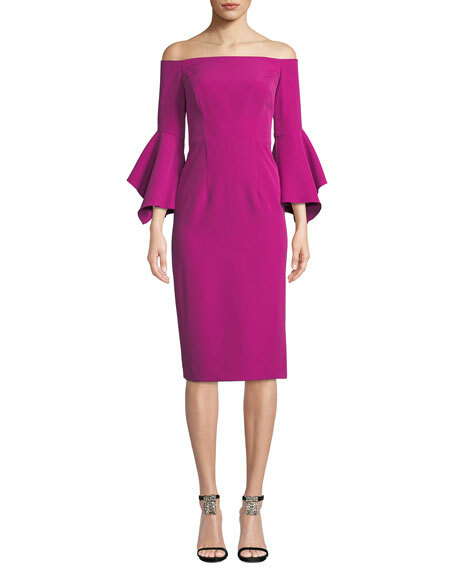 Off-the-shoulder neckline. Three-quarter bell sleeves. Body-conscious silhouette. Fitted princess seams. Hidden back zip. Midi-length hem. Dry clean. Polyester/spandex. Made in USA of Italian material.